Focused on simplicity, quality, security and the environment, VideoCentric’s VideoCloud 365 Portfolio has been built to enable every organisation with the benefits of telepresence, video conferencing and collaboration, without the need to invest in on-premise infrastructure. The VideoCloud 365 cloud services portfolio provides Software-as-a-Service and Network-as-a-Service offerings, and can be utilised by both customers new to video conferencing and those who have already invested in video infrastructure. With Virtual Rooms enabling access from any Video Conferencing system, Microsoft Skype for Business, and even a simple web browser, to expansions of your current video infrastructure in a scalable, secure way, the VideoCloud brings you together with anyone, without barriers. Designed, managed & integrated by the UK’s most experienced team where interoperability & connectivity remain at the heart of everything we do, VideoCentric’s VideoCloud solutions are affordable, scalable & flexible, whilst incorporating the best-in-class infrastructure to ensure the most reliable & secure solutions for your business. Ready for a trial of VideoCloud 365? Interoperability is at the heart of everything VideoCentric does – from displaying Europe’s most comprehensive interoperability demonstration suite to providing the world’s most interoperable video conferencing service. The VideoCloud has been designed and developed in our in-house video interoperability labs to ensure interoperability of all video conferencing systems, on-premise and cloud based solutions, PCs, Macs, tablets & Smartphones. And what’s more, the VideoCloud includes “interoperability services” designed to connect “non-interoperable systems” with the world, so whoever you want to connect with, the VideoCloud can make it happen! VideoCentric’s full Cloud & Managed services portfolio also includes solutions from the world’s leading video conferencing vendors & providers, including Lifesize – see the new Lifesize Cloud – Polycom – see the RealPresence VaaS-T service, BlueJeans, Vidyo & Cisco. 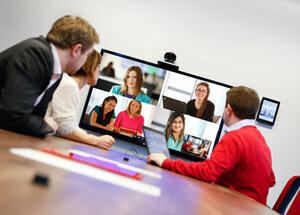 VideoCentric is the UK’s most experienced video conferencing integrator, and experts in both hardware AND cloud. VideoCentric’s VideoCloud solutions have evolved over the last 8 years and our today provide the most interoperable any-to-any connectivity for individuals working from home, those on the move, and those wishing to join a boardroom telepresence meeting from their tablet or PC. 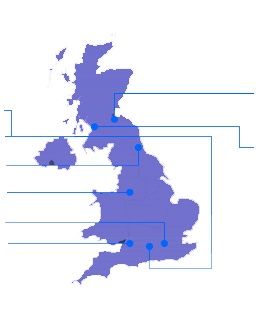 VideoCentric’s VideoCloud has been developed over many years of experience in working with small and large organisations in both the on-premise and hosted space, and is now hosted in a brand new resilient data centre, stacked with multiple servers and managed by the world’s best-in-class video infrastructure. Designed & managed by the VideoCentric team themselves, with key individuals displaying a huge 25 years experience each in the integration of H.323, SIP and ISDN solutions, the VideoCloud portfolio is directly integrated with VideoCentric’s Interoperability suite which allows for demonstrations, trials & instant support of any of the world’s leading Video Conferencing systems, and are each fully integrated with Microsoft Lync 2010 & Lync 2013, Cisco VCS & Business Edition 6K, Polycom RealPresence Infrastructure Platform, Lifesize UVC, Windows 7/8, Ios, Android & Linux machines, alongside BlueJeans, Lifesize Cloud, EasyMeeting, UCi2i and Vidyo VaaS-T.
For more information about each of the services available, or to discuss your needs & requirements to find a cloud solution suitable for you, please contact VideoCentric today! Full portfolio of world leading cloud-based collaboration & conferencing solutions available on G-Cloud 9 framework for the UK public sector….